The fruit of the plant is what gives it its name - a siliqua (an elongated seed capsule which is peculiar to the Brassicaceae family of plants) with a distinct three-horned apex. 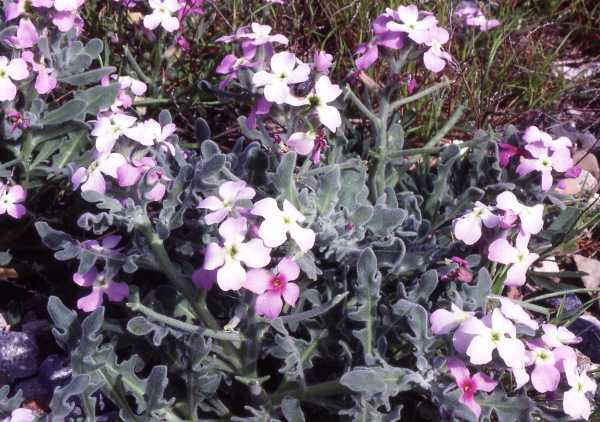 The flowers of this low-growing plant are pink to mauve and the leaves and stems are covered with rather woolly-looking hairs. 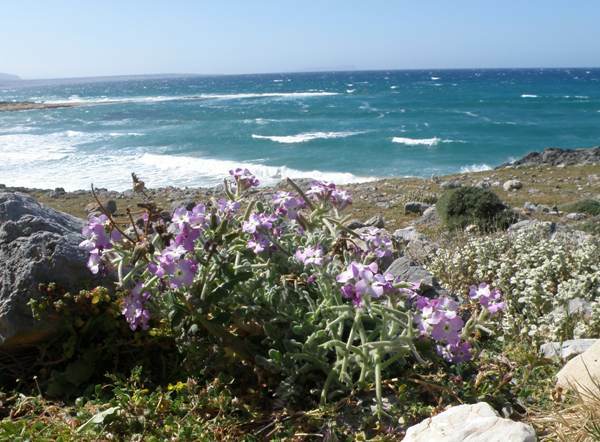 Three-horned Stock favours coastal habitats throughout the Mediterranean region, where it blooms from February to May. The specimens shown above were photographed in Crete.